Sun Flight Avionics is owned and operated by Ken Lane, a former flight instructor specializing in Garmin glass panel aircraft. Many resellers use sales clerks who may not even be a pilot let alone is intimately familiar with the tools you require. 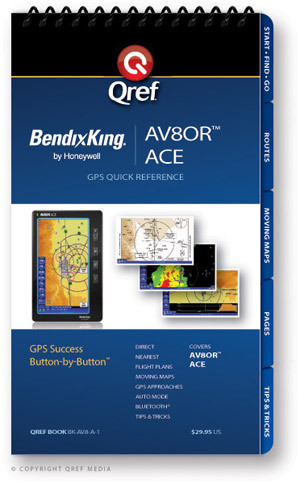 When you're looking for flight training and avionics training materials, Ken will assist you in locating the training material most suitable to your needs. The founder of Sun Flight Avionics Training, Paul Novacek, has been a driving force in the avionics training arena for almost 20 years. Seeing the existing training programs scattered wildly throughout the industry, he created Sun Flight to consolidate all the various avionics training material into one convenient location. Frustrated pilots and technicians will no longer need to search all the various suppliers. The Sun Flight Avionics Training website offers every type of training delivery method, including books, videos, PC trainers and downloadable manuals. A customer can compare training materials from different publishers to determine what will work the best. Future products from the publishing arm of Sun Flight will fill the gap in avionics training products, and ensure that training is available for all the serviceable avionics currently flying. Paul Novacek - ElectronicFlight Solutions Courseware Designer, earned a Masters Degree of Aeronautical Science in Human Factors from Embry-Riddle Aeronautical University, and actually wrote his thesis on GPS Pilot Training Methods. Involved with aviation his entire life, he earned a Bachelors degree in avionics from Embry-Riddle and worked as an avionics technician/system designer for 15 years. Paul was recently a Research Project Manager for NASA’s Langley facility in Hampton, Virginia. He is an aviation writer for Avionics News, FAA Aviation News, AvWeb and AOPA Pilot magazines. Paul is also an avionics systems test pilot, Master Flight Instructor and A&P technician. He has been teaching avionics as a flight instructor, lecturer and university professor since the mid 1980s. Most recently, Paul was Vice-President of ElectronicFlight Solutions, where he developed a complete line of computer-based avionics training programs and managed a team of curriculum developers. He then developed many of the Jeppesen computer-based avionics training programs. Paul is currently a Program Manager for FlightSafety International in the Ft. Worth Bell Helicopter Learning Center, developing and maintaining all the training material for the Bell Helicopter programs.